FRANKFORT, Ky. — The Republican governor of Kentucky has signed a bill that authorizes the creation of elective social studies courses on the Bible in public schools. House Bill 128 overwhelmingly passed the state Senate last month 34-4 after clearing the House 80-14. Sen. Danny Carroll, R-Paducah, told Kentucky Today that a high school in his district is already offering a Bible course, and there has been much interest from students. The bill had been criticized by the Kentucky Council of Churches, which said that the move could be harmful to religious freedom. “If this were a world religions class or something that gave students the opportunity to learn the historical significance of all religious traditions or sacred text, then we would not be opposed to it,” Interim Executive Director Peggy Hinds told reporters. 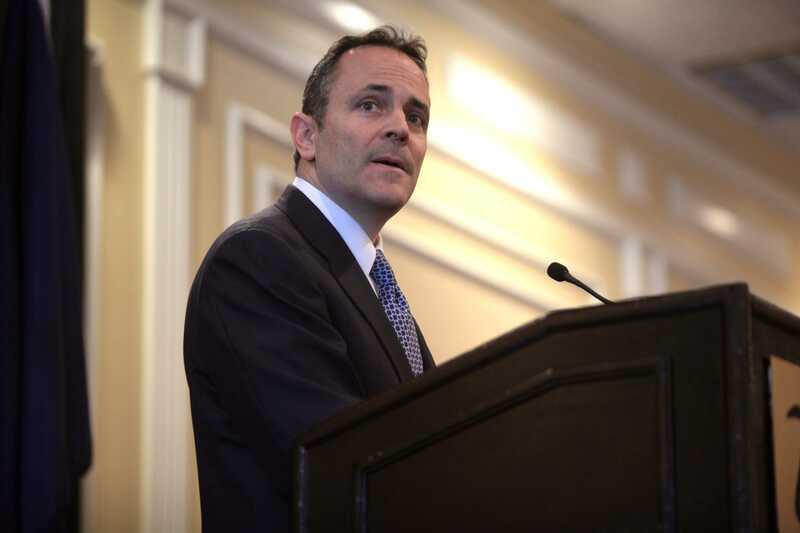 “Having seen so many students and teachers needlessly hurt by administrators who misunderstood religious liberty protections already in place, I believe these new laws will go a long way to clear misconceptions,” he told the Baptist Press. During debate in the House, Rep. Stan Lee, R-Lexington, also declared that America was not founded on Islam or other religions—it was founded by men who read and followed the Scriptures. Noah Webster’s famous “Blue Back Speller” also referenced Christianity, including God-centered statements in reading lessons such as “The preacher is to preach the gospel,” “Blasphemy is contemptuous treatment of God,” and “We do not like to see our own sins.” Webster is known as the father of American education.